Sign up to receive email updates on the latest tips, news and events! "The level of accomplishment of the class has certainly increased since I began using CMI's classroom guitar material." 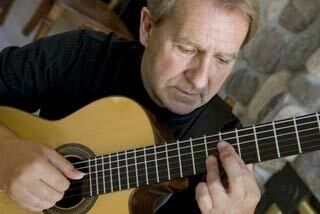 "The classroom guitar course is very well organized and easy to comprehend. The students can work ahead as fast as they are ready with the help of the online resources." "I really like the way tablature is introduced in this classroom guitar curriculum. It looks more like real music. I think it sets up the students for success when learning how to read rhythms and standard notation." "I am an experienced guitar player, and yet CMI has provided me with a valuable resource in my beginning classroom guitar class. The sequence of concepts, structure of lessons, and choices of music are all well thought out, and the engaging blended learning platform allows me to provide more individual and small group support." "As a brass player and band teacher who has been asked to teach classroom guitar this curriculum is a life saver. Using video instruction to demonstrate guitar techniques and musical examples allows me to put my focus on helping the student’s with their performance." "I can’t tell you how much I’ve enjoyed your classroom guitar curriculum and classroom ukulele curriculum here at Lakeview Academy. The kids stay engaged and have progressed much farther than I could have ever taken them on my own." "Consonus has the best 'pre-reading' guitar TAB approach for classroom guitar I have seen. Transitioning into standard notation is actually smooth. Kids quickly feel successful and motivated. I'm a fan." "This classroom guitar system will make my job as a teacher so much easier." "We really like the Consonus Music Institute product and … I anticipate using this classroom guitar curriculum for quite some time." "I love how Consonus classroom guitar curriculum starts with tablature and incorporates chords from the beginning. The way the tablature incorporates aspects of standard notation, making that a little less scary when we get to it about halfway through the book." "The developmental sequencing is the best of any published classroom guitar curriculum I've used. I love the emphasis on technique building." "The Consonus Music Institute Classroom Guitar Curriculum guides the students to become better guitarists and musicians. It enables them to take responsibility for their learning."